The spring semester has almost drawn to a close, and with the approaching terminus comes that bane of all students’ existences: finals week. Make sure to take a break from studying, and when you do, why not check out a new Japanese animated series? Here is a brief list of what to watch during finals week and what to avoid. First off is “Uma Musume Pretty Derby,” based on a mobile game that has yet to be released. This show takes place in a world where humanity has branched off into two species: regular humans and horse-human hybrids (who are predominately female for unexplained reasons) that are identifiable by their horse ears and tails. The protagonist of this particularly saccharine anime is Special Week, one of the aforementioned hybrids, who moves to Tokyo in order to register in a global racing tournament. “Uma Musume” is a mixed bag: although it has surprisingly smooth animation and vivid visuals, its story is average and shows little originality. It is also strangely dystopian — the show glances over the fact that the hybrids are indoctrinated into believing that their only goal in life is to become Olympic champions and that the only career path offered to them is to become athletes who are forced to put on lavish concerts, should they win. Indeed, the show dismisses the absolutely terrible lives of the horse-girls in favor of telling the tried-and-true story of a transfer student trying to adapt to life in a new town. The short series “Aggretsuko” is also light-hearted like “Uma Musume,” but it has a more meaningful story. “Aggretsuko,” whose characters are simplified bipedal cartoon animals, focuses on the everyday life of an office worker, Retsuko, who deals with the burdens of monotonous and oppressive office work by roaring death metal songs. The series is easy to get into as Retsuko is easy to sympathize with —particularly for students whose workloads seem to be never-ending due to finals and for students who have trouble socializing in general. Despite this, the show suffers from a weird animation style where characters’ mouths and facial features are distorted to show emotion, which is a bit unnerving. The most prominent issue with “Aggretsuko,” however, is its handling of workplace harassment. Retsuko is constantly being belittled by her boss, a literal sexist pig, who views women as tools whose only purpose is to do “womanly things” like brewing tea or secretarial duties. The show could be considered feminist since Retsuko fiercely refuses to be overwhelmed by her boss’ sexism and uses the bonds she forms with others in the office to mentally overcome his microagressions, but active feminists in movements such as #MeToo and #TimesUp might object. Contrary to what those two movements encourage, Retsuko never reports her boss for sexual harassment, nor does she try to spread awareness by posting her experiences online like the countless women who have detailed their horrific stories as part of #MeToo. Consequently, “Aggretsuko” is only for people who are able to put aside their feminist passions in order to enjoy a workplace comedy about the burdens placed upon the individual. “Caligula,” unlike the previous two shows, aims to be a surreal horror story rather than light-hearted fluff. In this show, a virtual celebrity singer known as Mu wreaks havoc on Tokyo due to her supernatural powers, which grant people’s inner desires at the cost of turning crowds of people into what appears to be crystallized purple goo monsters. The main protagonist is Ritsu Shikishima, a high school student obsessed with studying psychology, who is unfortunate enough to be the only person seemingly aware of those monsters. The show has decent animation and interesting, surreal visuals, but it is all ruined by one thing: Shikishima’s never-ending monologues. Whenever something important happens, Shikishima takes it upon himself to loudly declare his thoughts on the matter to the audience, never allowing the audience to observe the action on-screen for themselves. When there’s nothing happening, he continues talking to himself anyway, usually discussing psychological terms and theories that would only interest psychology majors — and even then, given that finals are coming up, they probably don’t want to be reminded of schoolwork when trying to relax. Although the show doesn’t quite break the rule of “show, don’t tell” by allowing the audience to observe some scenes without interruption, Shikishima’s endless speeches do hinder the show greatly. “Persona 5: The Animation” has the same surreal horror effect “Caligula” aims for, but unlike “Caligula,” it is actually entertaining. 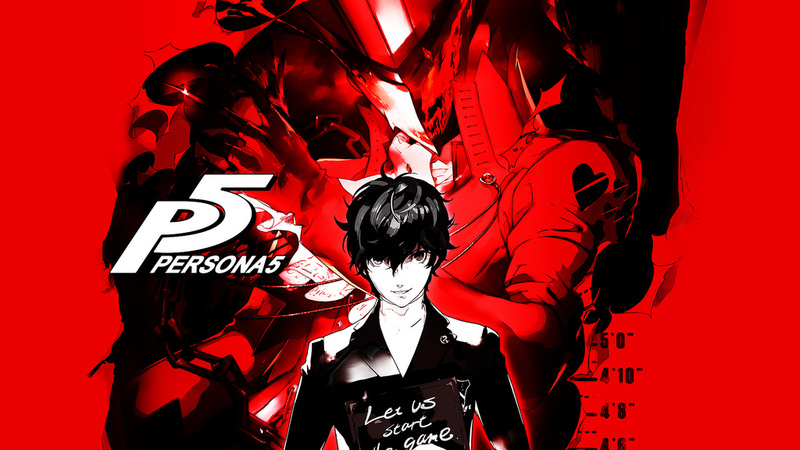 Based on the critically acclaimed PlayStation 4 game of the same name, it follows the adventures of Ren Amamiya, a gentlemanly juvenile delinquent who leads a bunch of robbers known as the Phantom Thieves in “heists” where they target surreal manifestations of people’s vices. He does this by using a smartphone app that brings him into a supernatural world where he can summon a monster, known as a Persona, to fight off monstrosities embodying the dark aspects of humanity. The show’s theme of dubious morality and the questioning of the definition of “good” and “evil” make it an interesting, albeit laid-back, study of ethics, particularly with its Robin Hood-esque protagonist. Despite the fact that it is an adaptation, the anime avoids dumping tons of exposition about the original game and allows the viewer to draw their own inferences by observing characters’ movements and interactions, a stark and relieving contrast to “Caligula’s” never-ending dialogue. The smooth, vivid animation adds greatly to the overall atmosphere, making for an engaging experience. The only aspect of “Persona 5: The Animation” that might dissuade viewers is that it is an adaptation —there is little reason for people who played the original game to watch it since they already know the story.